We’re here to help in the event that your vehicle is damaged. You can depend on us to get you back on the road. 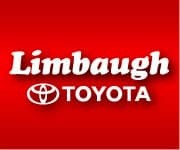 At Limbaugh Toyota, our factory-trained technicians are eager to provide you with quality repairs efficiently using the most advanced technology and equipment. Rely on the experts, and we’ll have your vehicle looking like new in no time. You can easily schedule a Collision Center appointment online or give us a call at 205-780-0500. FREE Lifetime Warranty on our quality services including repairs and painted surfaces! To make your Limbaugh Toyota Collision Center experience as easy as possible, we have uploaded the documents you will need to complete before we can begin work on your car. Once completed, these forms can be faxed to (205)780-4923. These documents can also be uploaded to your schedule appointment form.